All ground coffee will be a medium grind unless notified otherwise. 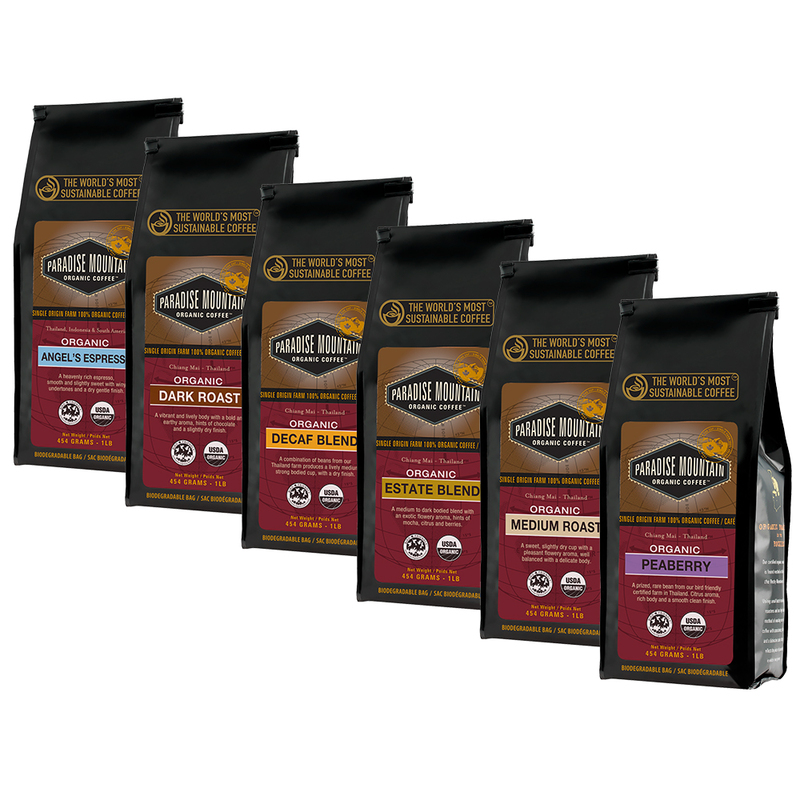 I bought this sample pack after reading about their awesome coffees, not sure of which one I wanted since they all sounded so good. I am now in love with The Exotic Beans organic Thailand coffees,they are all so good, now I cannot figure which ones I want to order. If you never tasted coffee that comes from the jungles of Thailand then you’ve missed out on tasting the best coffee in the world. The jungle climate is exactly what a good coffee tree needs to produce ripe, red coffee berries. 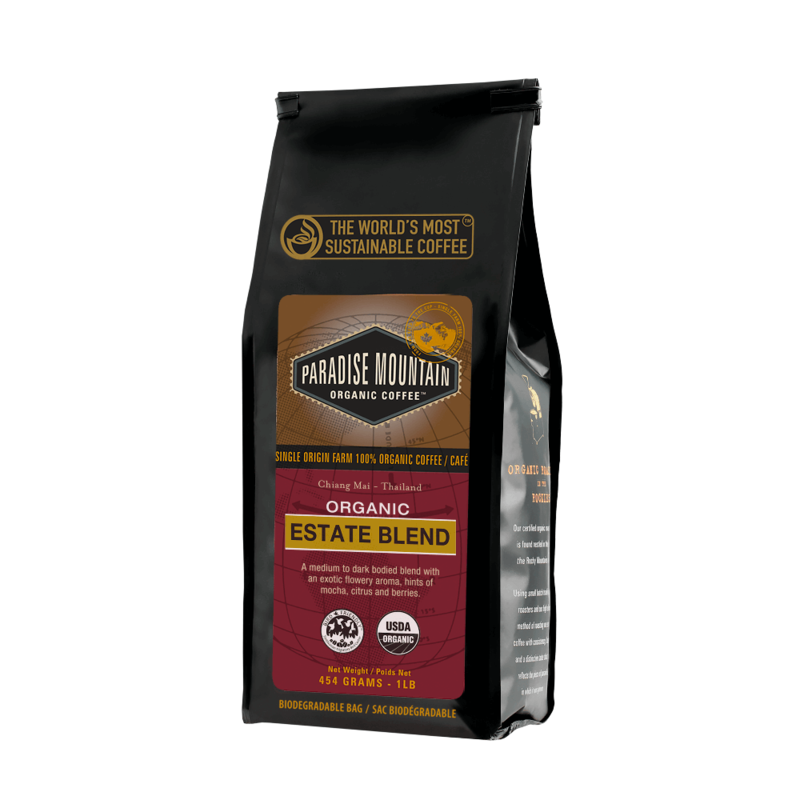 For me, I’ll drink no other coffee than Paradise Mountain Organic coffee from The Exotic Bean! 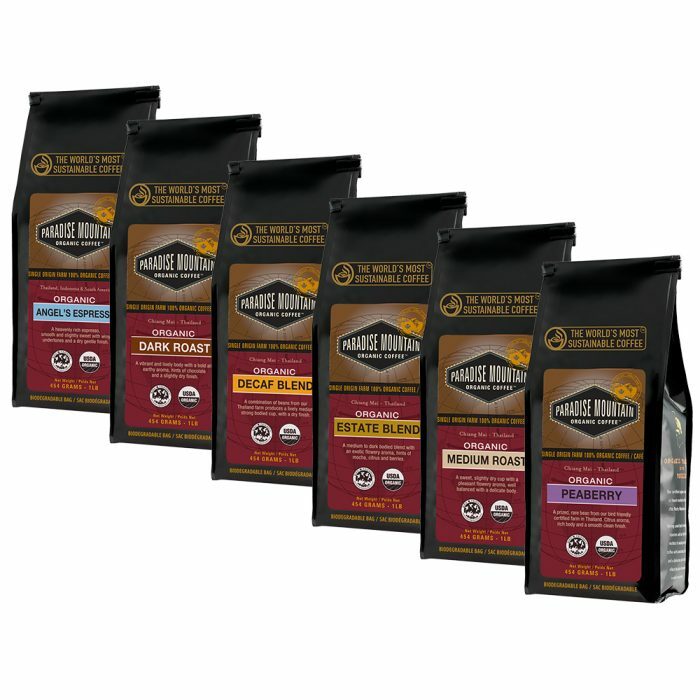 My friend referred me to this company so I knew they had awesome coffees but I had no idea which one to order then I saw they had this sample pack to try. When I received my order as soon as I opened the box & the incredible smell hit me I knew I was in for a treat. Only problem now is that since they all taste so good I have to decide which one’s to order. Maybe I will order two different one’s a month?